Cigar holder. 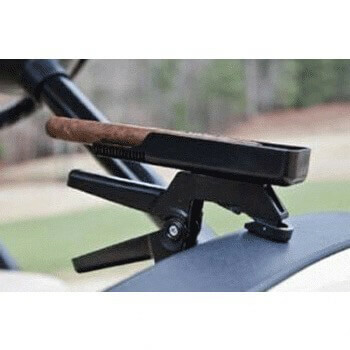 Clips anywhere to keep your cigar out of harms way. Strong and durable. Will not crush,pinch or tear cigar. Holds small and large cigars. Elevated rest will keep cigar lit and off bottom and sides of tray. Perfect for golf carts, boats, decks and more.